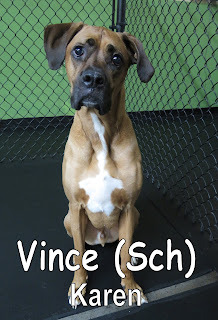 Vince, came in to the Fort for his assessment bright and early this morning. 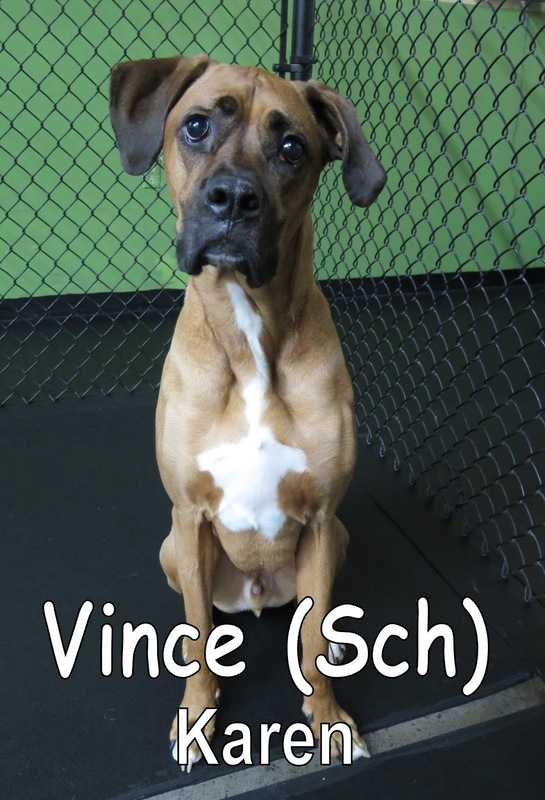 He is a five-year-old, eighty-pound, Boxer mix. He "spoke" good dog, and quickly made friends with the other dogs in our Large Dog Program. Vince enjoyed every minute of his first day here at Fort Fido. We look forward to seeing him again soon. Good job today, Vince!